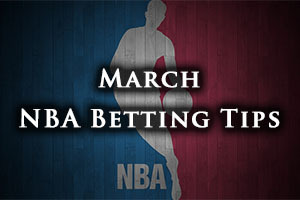 It is the middle of the week but the NBA doesn’t let you down and there are a number of betting opportunities for NBA fans this evening. There were some tight games on Tuesday night and it looks as though the midweek action and excitement keeps on coming. The Knicks held firm to defeat the Spurs at home, winning by a score of 104-100. The Magic slipped to an away defeat in Houston with the dominant Rockets winning by a score of 107-94. The Clippers won a tight affair at home to the Charlotte Hornets, triumphing by a score of 99-92. The Pistons grabbed a big home win, defeating the Grizzlies by a score of 105-95 and the Pelicans won a very narrow affair, defeating the Bucks in New Orleans by a score of 85-84. The Indiana Pacers have suffered a setback of late but it has nothing to do with what has happened on the court, even though they need some improvement in that area too. The biggest blow the team has suffered of late is the fact that the targeted return date for Paul George to bounce back from injury has been and gone and there is no further news on when the player will be fit and ready for the NBA again. In fact, there are growing suggestions that the player will be unavailable this campaign. This is a blow for the Indiana side, but it may be best for them and the player to ensure that he doesn’t risk a new injury or a recurrence of the old one by pushing too hard. Both the Pacers and the Bulls have lost their two most recent games and this is a game where both teams will be keen for a bit of redemption. The Pacers have a 30-36 record coming into this game which includes a road record of 12-20. The most recent loss came at home to the Raptors, with the Toronto side grabbing a 98-117 win on Monday night. The Bulls have a 40-28 record this season so far and this includes a 20-14 record in Chicago. 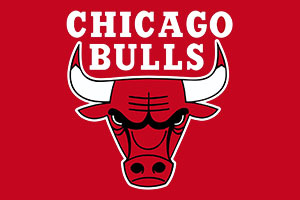 The Bulls lost away to the Thunder on Sunday, defeated by a score of 109-100. The Pacers have a 7-3 record in their 10 most recent games while the Bulls have a 4-6 record. For average points scored, the Bulls lead 100.8 to 96.6 and for average points allowed the Pacers lead 96.3 to 98.9. The Pacers could be without Donald Sloan while Roy Hibbert is being closely monitored. The Bulls are likely to be without Jimmy Butler, Taj Gibson and Derrick Rose going into this game. It could be a close one as both teams may be short on confidence but taking the Bulls at -1.5 at odds of 1.90 is a decent bet for Tuesday. Bet Now! This has so often been the time of year when the Heat powers into top gear but with no Big Three around anymore, it is left to Dwyane Wade to life the team into the play-off place they are aiming for. With Chris Bosh being absent for the rest of the campaign and James playing his trade in Cleveland, it is a big job for Bosh but he is the sort of player who thrives on a challenge. The Trail Blazers have a 44-21 record going into this game and this includes a 16-15 record on the road. The Blazers have an 8-2 record in their last 10 games but they lost their most recent game, losing in Washington on Monday night by a score of 105-97. The Heat have a 30-36 record going into this game and this includes a 15-18 record in Miami. The Heat won their most recent game, defeating Cleveland on Monday by a score of 106-92, a result that would have left many fans and players delighted at getting one over on LeBron. The Heat has a 5-5 record in their last 10 games. For average points scored, the Blazers lead 102.8 to 94.7 while for average points allowed, the Heat leads 97.0 to 97.6. The Blazers are monitoring Joel Freeland while the Heat are keeping a close eye on James Ennis. Taking the Portland Trail Blazers at -2.5, at odds of 1.90, is likely to be a safe bet. Bet Now! With the injury list piling up, a greater level of responsibility is being placed on to Russell Westbrook. He has been in excellent form for so much of this season, but there is a need for him to keep on playing and picking up points. The news that Serge Ibaka may be absent for the rest of the campaign is a massive blow for the Thunder but the players need to respond in a positive manner. The Thunder have a great home record against teams from the Eastern Conference having won 10 games in a row but the Celtics are vastly improved from the side that stumbled in the first half of the campaign. The Celtics hold a 30-36 record so far this campaign, which includes a 12-20 road record. The Thunder holds a 37-30 record so far, and this contains a 23-9 record at home. The Celtics are on a winning streak of 5, with a win over Philadelphia on Monday, a 108-89, providing a strong push into this match. The Thunder lost their most recent game, losing to the Mavericks in Dallas on Monday night, by a score of 119-115. Isaiah Thomas is tipped to be out for the Celtics while the Thunder are without Kevin Durant and Serge Ibaka and are monitoring Steven Adams and Enes Kanter. The Celtics are on a great run but this may be where the Thunder steps up and taking them at -7, at odds of 1.90, should be a sound bet. Bet Now!